Today's reminder that racing is expensive, or, my x-mas present arrived. In another episode of better living through Amazon, I’ve got the last new gear needed for racing again next year. I now own a $570 piece of carbon fiber reenforced plastic in the form of a head and neck restraint. These are actually a good example of a market doing its thing. Back when I was last racing in the mid oughts, head and neck restraint devices we’re optional and expensive. I knew of only one or two people in the division running them at the time, a HANS device was about the only option on the market, and they were very expensive. I recall them costing over $1000 at one point. Today an SFI 38.1 rated device is required by most sanctioning bodies, there are at least five or six styles of devices and manufacturers making them, and they all cost somewhere around $500. 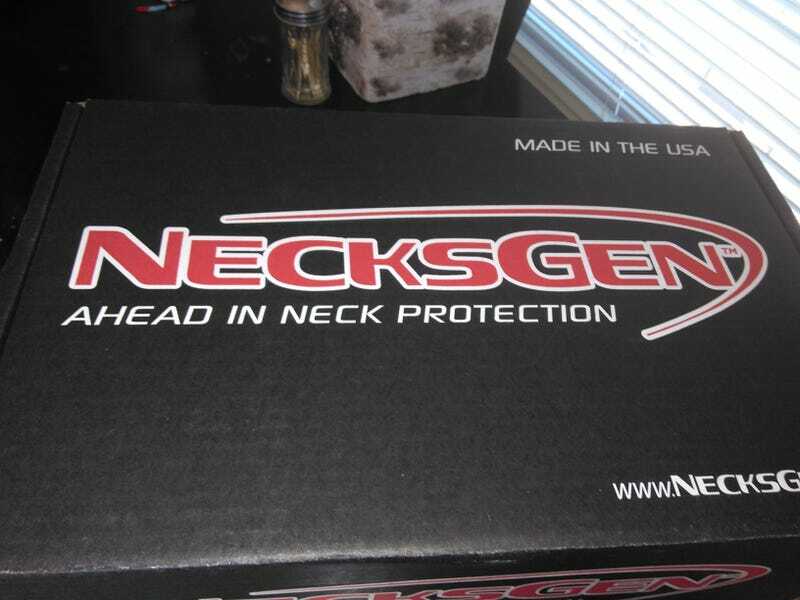 I could’ve saved some money and got the original necksgen model, but I sprung for the 2nd generation that is 1.2 lbs instead of 2.2lbs for an extra $70. The attraction for me was fellow racers reporting necksgen to be the most comfortable option for a device out there. I attached the quick connects to my helmet and adjusted the tether. Seated in the racecar, I’m happy to report that the device is comfortable enough that I hardly notice it, and I can still enter and exit the car easily enough with it in place. I’ve now got all the gear (although I will need a new suit at some point). Left to do to go racing: fresh front wheel bearings and outer tie rods, redo the alignment and corner weights, get an annual tech, a shake down track day, and buy some fresh race rubber.